We had many people show up for the field clean up and run way repair event today (Sunday April 14) at 9 am. Weather was great, and many people pitched in. We filled in big depressions under the runway, replaced many of the stakes that had come out, patched a couple of prop strikes and glued in some fabric to get it into shape! Then, some brush clean up to get the field in good shape. Following this, we launched the flying season with many pilots taking to the skies! Much fun was had by all! We only had a couple of crashes and one bad landing - not at all bad for the first day of flying after winter hibernation. There were no foamies flying today to kiss the trees like they always do first day of flying, but overall it was a LOT of fun! Great weather, good field, and terrific company! Thanks to all the volunteers who rolled up their sleeves and helped today! Work got done in short order thanks to all of your help. All, we need to start displaying the FAA number on our RC planes and drones starting Feb 25th based on the interim final ruling issued by the FAA. Other articles on this page and the banner at the bottom explain how to get an FAA number if you dont have one. Here's wishing everyone a very happy new year! 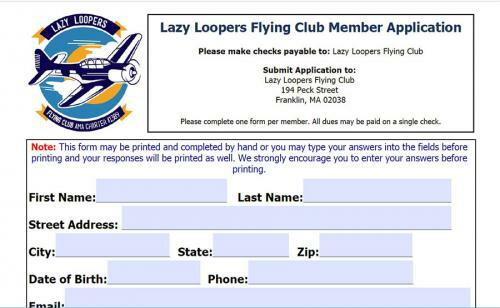 The Lazy Loopers board is meeting in a couple of weeks to pull together our 2019 plans and we look forward to sharing those with you. In the meantime, I would like to request everyone to please take a few minutes and renew the membership for 2019. 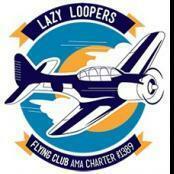 It really helps the club a lot if we can get the membership squared away by March 1 to help with our AMA charter. Just print out the application form, attach a check and mail it in to the address indicated. The club's Winter meeting was held on Nov 18, 2018. Meeting minutes are attached.